Fig. 6. 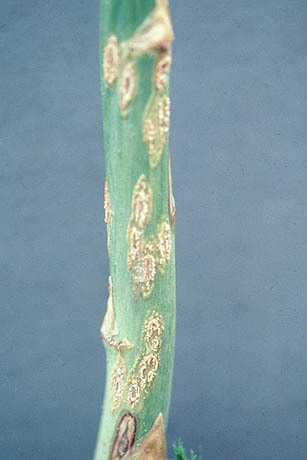 Aecial lesion of Puccinia asparagi on the stem of asparagus (courtesy of D. Johnson).